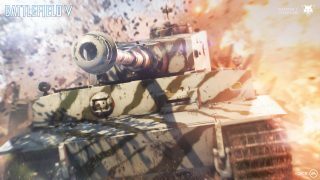 Motorized mayhem enters the battlefield – learn how to master the challenges and unlock the mighty StuG IV tank. We’re in the middle of Chapter 2: Lightning Strikes and a new Chapter Event is upon us: Iron Skin. Active between February 14 and February 20, Iron Skin is all about mastering vehicular warfare. In its Weekly Challenge, you’ll take on tank-related tasks, testing your skills in both piloting and attacking the steel beasts of WW2. The final reward? The powerful Sturmgeschutz (aka StuG IV) tank for the Axis faction. A Weekly Challenge is a set of tasks with multiple routes and a special reward waiting at the end. The path you take towards the final trial is up to you. Each completed sub-challenge earns you Chapter XP, which in turn gives you more rewards (head to our article on Chapter 2 progression for further details on this). Going Mobile: Score 1,000 points while in a mobile ground vehicle. To get rolling, the first vehicle task challenges you to earn points when you’re behind the wheels. Points are earned in several ways, including killing enemies, capturing objectives, and even having squad mates spawning on you. If you’d rather ride shotgun, you’ll be happy to hear that passengers earn points when helping out, too. So, find a home on wheels and see how it feels; you can choose from tanks, halftracks, armored vehicles – basically anything non-stationary that moves on land. 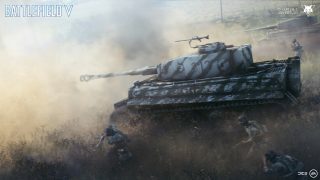 Service Deal: Repair tanks or halftracks piloted by a squad member for 100 health. Tanks are mighty attackers but vulnerable to anti-tank weapons and explosives. Playing as the Support class, repair your squad mate's tank or halftrack when it’s damaged. Simply bring out the repair tool, get close to the vehicle, and blowtorch it back to mint condition. To avoid enemy fire, use the tank itself as cover but be aware it might go boom if its damages are too great. Again, Panzerstorm is a great map for this. Mobile Firebase: Get ten kills or assists while in a tank or halftrack. Time to show off the destructive force of the Battlefield V vehicles and add to the enemy’s bleeding ticket count. Both kills and assists will track towards completion in this one (an assist is earned if you deliver a large amount of damage to an enemy and a teammate delivers the final blow). Remember, both drivers and passengers in vehicles can achieve these kills and assists. If you’re piloting a tank, remember to switch weapons if needed; shell other vehicles with the main gun and use the machine gun against pesky infantry. Handyman: Build five tank blockers, vehicle Resupply Stations, and/or AT Cannons. Beasts of steel feel a lot more manageable when there’s something solid between them and you. Hedgehog and tank blocker Fortifications can impede the mobility of enemy tanks. The Support class may also build anti-tank cannons to defend against armor attacks, as well as vehicle Supply Stations allowing your teammates to repair their vehicles. Stay close to captured flags, bring out your Fortification tool, and look for silhouettes of all of these. Tank blockers are those spiky metal objects, Resupply Stations look like wooden crates on top of pallets, and a silhouette with a long barrel means you can build an AT Cannon. Maps like Arras or Panzerstorm are good choices here. Can Opener: Deal 1,000 damage to enemy vehicles. The determined soldier depicted above belongs to the Assault class. One of the most feared sights for tank drivers, Assaults wield powerful anti-vehicle gadgets like the Panzerfaust, the PIAT, AT Mines, and Sticky Dynamite. 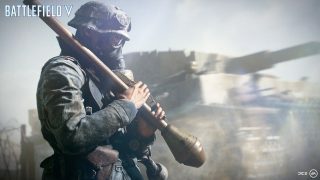 Playing as Assault helps to deal the damage required (especially with the Vehicle Buster Combat Role activated), but it’s not mandatory – other classes are great road blocks too, such as Support players who’ve unlocked the AT Grenade Pistol. You can also use other vehicles or stationary weapons to deal the required damage. Tank Ace: Destroy three enemy vehicles while in a tank or halftrack. Fight fire with fire in this task. Tanks and halftracks can be effective in dealing with all kinds of enemy vehicles but are equally matched against each other. When engaging in tank-to-tank combat, keep your opponent’s armor deflection capabilities and weak points in mind. There’s a helpful video about this on the Battlefield V Boot Camp. Also, both tank weapons and armor are upgradeable, so keep your playstyle in mind and invest wisely in your Specializations. Prepared Positions: Deal 100 damage to tanks or halftracks in one life with infantry weapons or stationaries. Time for destruction and stealth. Attack enemy vehicles and make them receive 100 damage and avoid being killed in the process. Remember that a Panzerfaust or PIAT will be more effective when fired at the rear of the tank than the front. Furthermore, wait for the right moment to strike; if the vehicle is not shooting at you, you’re probably not spotted. Road Trip: Score 300 points while in a Reinforcement vehicle. As you may know, Reinforcements can be called in by squad leaders with enough Requisition points, which are earned by doing squad-related tasks. Some Reinforcements are vehicles, like the AT Half-track, the Sd. Kfz Pakwagen, the Sturmtiger, and the Churchill Crocodile tank. When a Reinforcement vehicle has been called in, you can enter it through the deploy screen – look for a golden icon with a timer above the HQ icon. You can also walk up to it on the map and see if there are any free seats. These will make your team more mobile on the battlefield and are at maximum efficiency when other passengers are on board. Work with your squad to make the most of your new ride. Hard Targets Sighted: Spot five enemy tanks. Spotting is a great way to warn your team to incoming danger. Recon players are the masters of this, so deploy as this class and bring out your Spotting Scope gadget. Use this and simply look at enemy tanks to mark them with icons for you and your squad mates. You can also use the Flare Gun gadget, which shoots a high-altitude spotting flare projectile revealing enemies on a large area. Spotting with flares launched by tanks or aircraft will also do the trick. Tackle this challenge on Panzerstorm if you want a map where tanks are a common sight. Moon Shot: Destroy an enemy airplane with a Panzerfaust, PIAT, or AT cannon shell. An optional stunt for the hot shots. This requires the use of anti-tank weaponry – but for anti-aircraft purposes. You’ll find a lot of low-flying enemies among the peaks of the Fjell 652 map and you can also deploy on Twisted Steel’s high ground where enemy pilots tend to show off by flying under the bridge. Take these aces down a notch with a well-placed rocket. Remember to adjust your aim and lead your shot based on where they’re flying. Might Makes Right: Capture one objective using a tank or halftrack. Roll in to town and grab a flag. Beware, though; tanks and halftracks are not subtle, and chances are you’ll be attacked by Panzerfaust-wielding Assault players who, perhaps, are working on their tank-busting tasks in this Weekly Challenge. Bring some infantry squad mates with you to cover your back. Complete this and move on to the final task. Armored Fist: Get 20 offensive kills while in a ground vehicle. Only one challenge left before the StuG IV can be added to your Company. Your orders: take down 20 enemies while using a mobile ground vehicle – and make those offensive kills. The difference between these and regular kills is that the former are earned when you’re attacking the opposing team’s objectives. So, join attacks on enemy flags and support your team with tank (or other vehicle) fire. Try a mode like Frontlines or Breakthrough for more predictably-located action. Finally, don’t forget your ammo supply is exhaustible. Be sure to get to know where your Resupply Stations are located so you don’t run out at a critical moment. The best of luck. We hope you'll enjoy the thrill of these challenges and, once unlocked, owning the battlefield with the StuG IV. Hungry for more Chapter 2 challenge and reward info? Fill up on delicious info by reading our article on Chapter 2 progression. Enter mankind’s greatest conflict now with the Battlefield™ V Deluxe Edition or Standard Edition on Xbox One, PlayStation®4, and PC. Play the full game with Origin Access Premier or try it first for 10 hours with EA Access or Origin Access Basic.